A common thread through most autistic disorders is a lack of awareness of non-verbal social cues; things like body-language, facial expressions and the ‘unspoken rules’ of sociability, that non-autistics pick up intuitively. Autistic children need to have the meanings of different non-verbal cues spelled out (for example, that a frown means someone is upset), along with the social conventions around various activities (such as making friends). 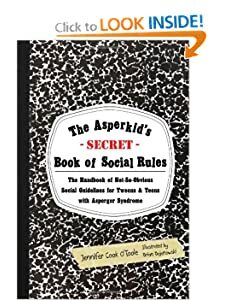 The Asperkid’s Secret Book of Social Rules is a handy guide for tweens-to-teens with autism, on the basic norms of etiquette and good people-skills. The book comes highly recommended by many parents of autistic teens. The author, Jennifer Cook O’Toole, writes from first-hand experience as someone with Aspergers. 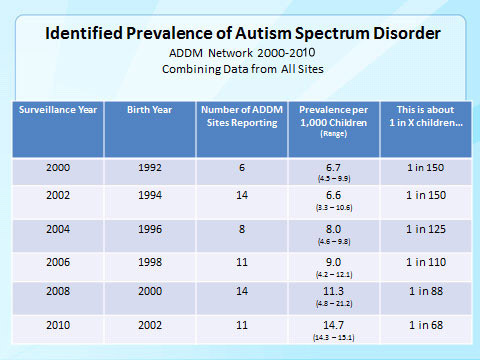 For reasons unknown, many autistics also suffer from environmental allergies. Steam-cleaning is the most allergen-neutral way to rid the home of dust, bacteria, mould, bugs and other irritants, without adding potentially harmful chemicals to the environment. Steam cleaners use only water (often tap water is fine), and rely on high-pressure super-heated steam to clean and sanitize. PSI (pounds-per-square-inch) and temperature are two important criteria for choosing a steam cleaner, and industrial cleaners (though more expensive) usually do a better job than models designed solely for domestic use. Steam-cleaners can be used on most hard surfaces (probably not so great for carpets, unless the machine has a vacuum function. BTW compared to carpets, hard flooring traps fewer allergens) and are especially effective in bathrooms, kitchens and garages. Also kills bed-bugs in mattresses, and de-grouts tiles. Like many autistics, I find driving difficult and never bothered to get a license. Clumsiness, absent-mindedness, poor reflexes and anxiety are some of the issues that may challenge autistic drivers. For those who encounter such problems (autistic or otherwise), there are now alternatives to the standard car that may be easier to drive. Two are shown below, the Renault Twizy and the Piaggio MP3. The Twizy is what they call a ‘microcar’, an electric-powered vehicle for city driving. The main advantages of the Twizy are its maneuverability, compact size and small turning circle; making it easier to park and weave through city streets. Doors are optional, and removable for better all-round visibility. The driver’s seat is in the centre, further improving side-visibility. The first video below is ‘with doors’, the second ‘no doors’. Having said that, there are a few concerns worth highlighting for the Twizy. There is a single back-seat, but it’s cramped. The optional doors have no windows, so the interior is ‘open to the public’ and you’ll get wet in heavy rain. UPDATE: It turns out you can now buy windows for the Twizy either from Renault or third-party suppliers. Just google ‘Twizy windows’. The Piaggio MP3 is a three-wheel motorbike that offers the stability of a car without the restrictions of driving a one-ton steel box. The two front wheels tilt on corners, so it feels like a normal bike on the road. But unlike a normal bike, you can come to a full stop without putting your leg out, and no worries about falling over. The MP3 offers excellent all-round visibility and handling: but it’s still a bike, with most of the usual disadvantages when it comes to security and weather-proofing. The Twizy and MP3 are just two of the many motoring alternatives out there for autistic drivers, choices depend on your particular strengths and weaknesses. Other options include trikes, motorbikes with sidecars, and other types of microcars.